Call 30266034 or visit us at 5 Abbey Yard, Newry. office hours are 10am to 1pm Monday to Friday. We follow the school year from September to June. We have approx. 700 members. The annual subscription is £25 (£45 for a couple). 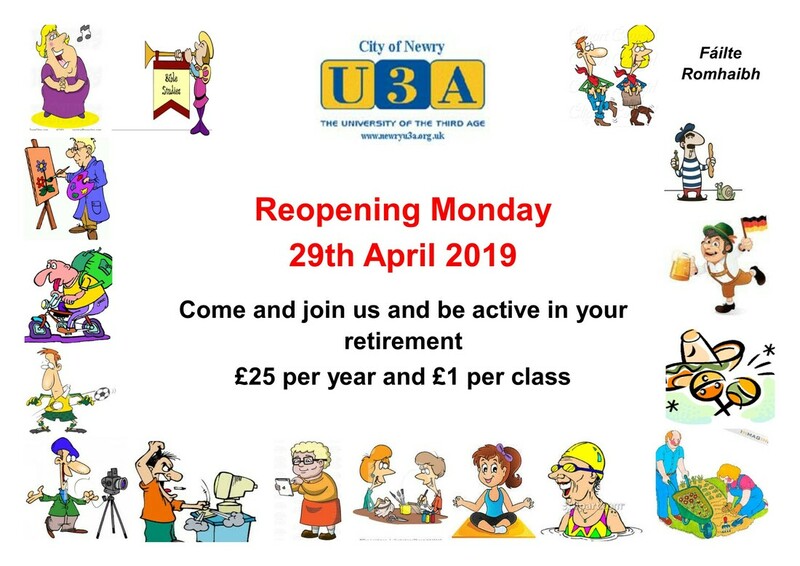 What is Newry U3A's Active Ageing Centre? It's a place of challenge - develop your self-confidence, take part in performance, there's singing dancing and keep fit. It's a place to socialise - every class/activity has it's own social interaction, plus there's theatre outings and other trips away. As we get older we need to keep our brains active, our body fit and make lots of new friends - this is what we do.